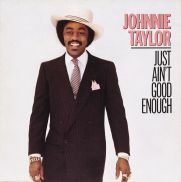 WOODLAND HILLS, Calif. "Johnnie Taylor, the soul singer whose hits "Who's Making Love," "Disco Lady" and "Jody's Got Your Girl And Gone" were R&B and pop chart-toppers in the mid-'70s, will have his 1983 album "Just Ain't Good Enough" originally recorded for the short-lived Beverly Glen label reissued on The Right Stuff label (distributed by EMI Music Distribution) with liner notes by R&B author/historian David Nathan. Street date for the album is February 1, 2000. The album, released originally in October 1982, enjoyed a chart life of nearly nine months, peaking at #19 on Billboard's R&B charts. Beverly Glen Records, also the home of Bobby Womack and Anita Baker in the mid-80s, was the short-lived Los Angeles-based label of former ABC and Ariola America executive Otis Smith. Taylor, a native of Crawfordville, Ark., looks back on a rich legacy of soul, R&B, gospel and blues. Growing up in Kansas City, he made his recording debut as part of the Five Echoes gospel group on Chicago's Chance label in the '50s, segueing to Vee-Jay with the Highway QCs in 1960. From there, Sam Cooke named him as his own replacement in the Soul Stirrers, and Taylor made his first solo recordings for Cooke's SAR and Derby labels. Moving to Stax in 1965, he gathered steam with a trio of hits: "Who's Making Love" (a Top 5 pop hit), "Take Care Of Your Homework" and "Jody's Got Your Girl And Gone." 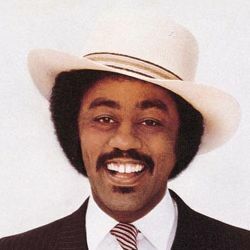 While many Stax artists were unable to sustain their momentum in the mid-70s, Taylor moved to Columbia Records and scored the biggest record of his career, the #1 pop and R&B hit "Disco Lady." Six Columbia albums ensued prior to Taylor moving to Beverly Glen Records in 1983. Taylor was reportedly disappointed with the label's marketing efforts and departed. The label closed its doors in 1985, and Taylor has been signed to the Mississippi-based classic soul/blues label Malaco ever since, where his current album, currently on the Billboard R&B album charts, is "Gotta Get The Groove Back." Taylor, as annotator Nathan points out, is often spoken in the same breath as Otis Redding and Wilson Pickett, even if he never attained the same legendary status. His long-elusive "Just Ain't Good Enough displays Taylor's vocal abilities at their peak. The Right Stuff, distributed by EMI Music Distribution, has won acclaim for its R&B reissue program encompassing such labels as Hi, Philadelphia International and Solar, including the entire Al Green Hi catalog featuring platinum "Greatest Hits", plus the nuggets from the catalogs of such classic artists as Bobby Womack, Willie Mitchell, Gladys Knight, Lakeside, the Whispers, Shalamar, Midnight Star, the O'Jays, Teddy Pendergrass and more. Order Just Ain't Good EnoughToday!